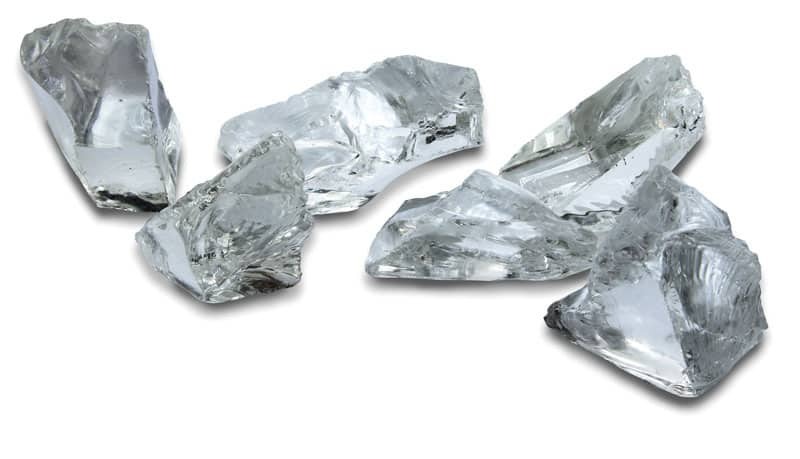 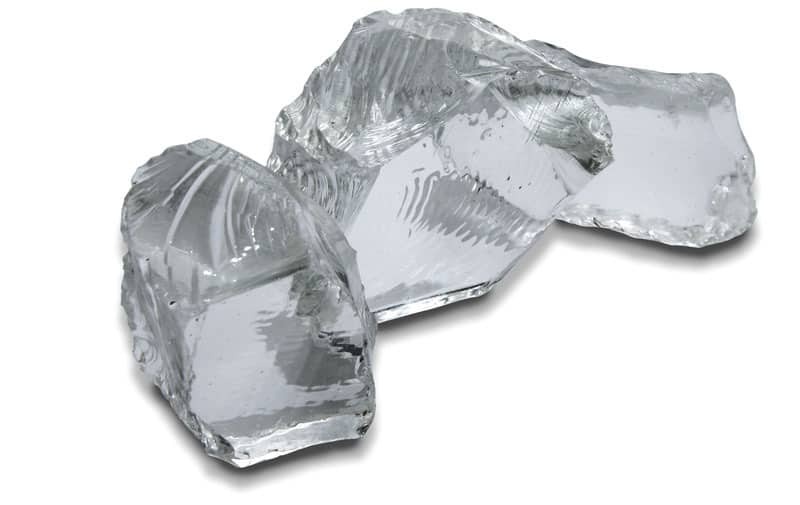 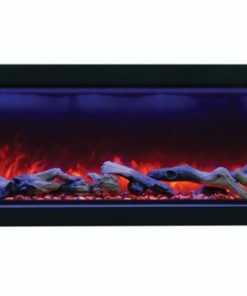 Overall Size: 51″ wide x 23″ high x 6.75″ deep. 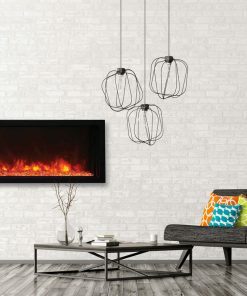 Wiring: Plug-in or optional direct-wire. 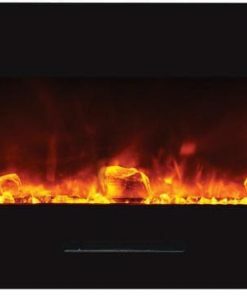 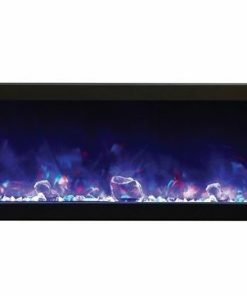 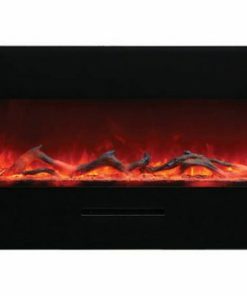 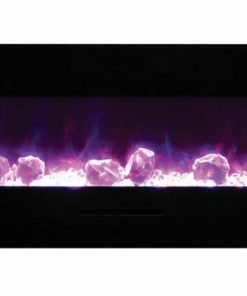 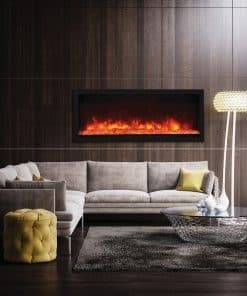 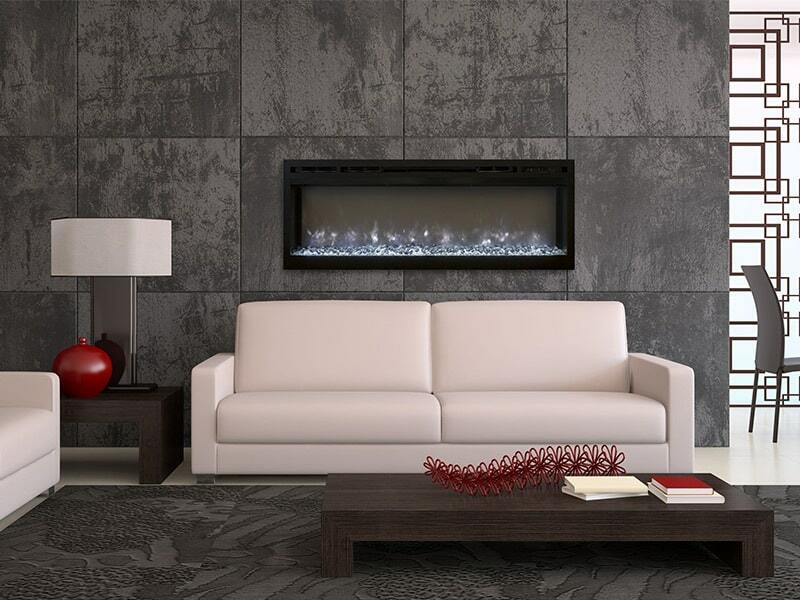 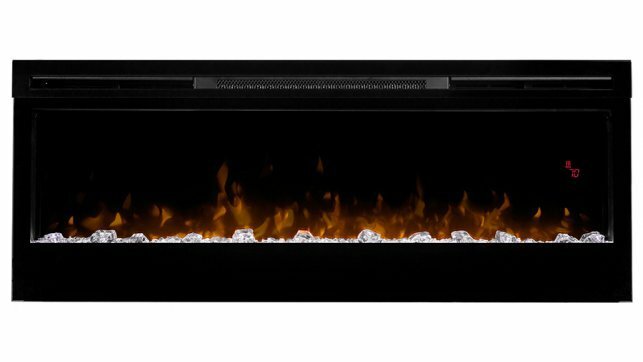 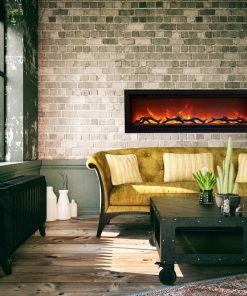 The Amantii WM-FM-50-BG-NoLog 50″ Electric Fireplace comes with Black Glass Surround and CLEAR decorative media. 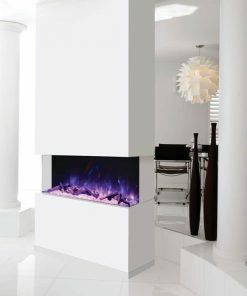 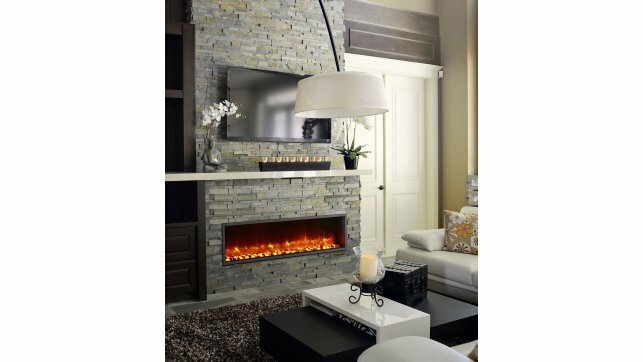 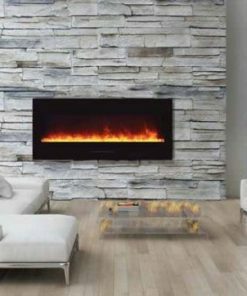 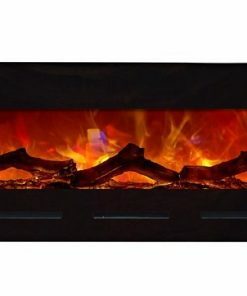 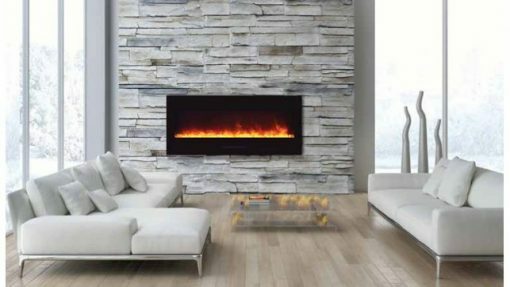 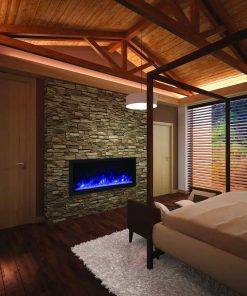 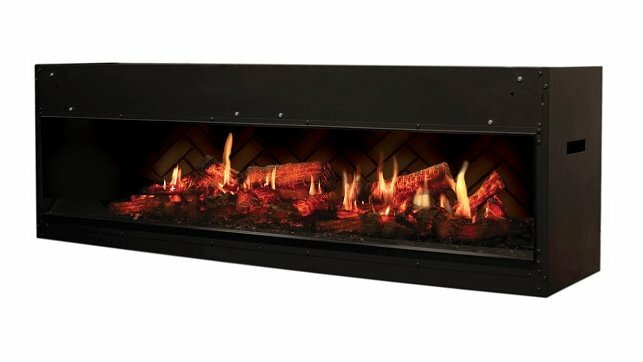 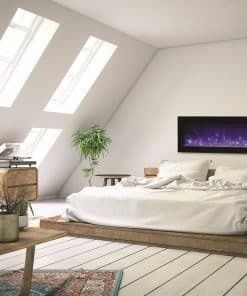 Primarily designed as a built-in, the elegant Amantii WM-FM-50-BG-NoLog electric fireplace is easily wall mounted as well – mounting brackets come in the box. 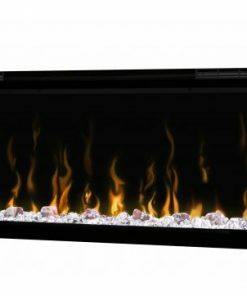 The Amantii WM-FM-50-BG-NoLog is a true flush-mount design with the heat released through the slot below the glass viewing area. 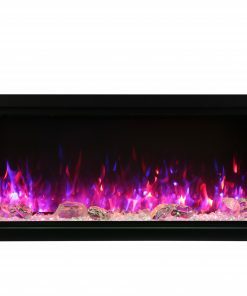 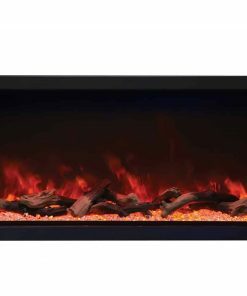 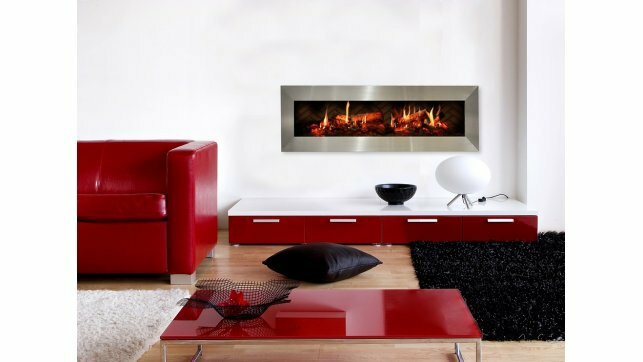 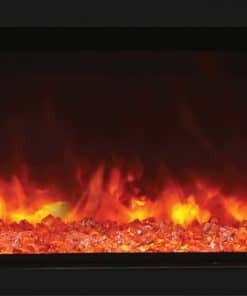 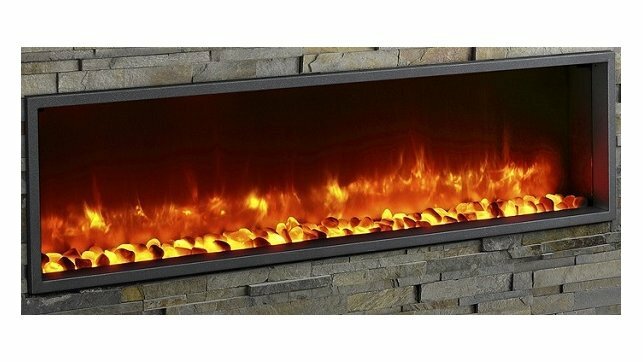 A stunning and vibrant flame presentation is paired with an exceptional glass viewing area making a pleasing and cozy visual display. 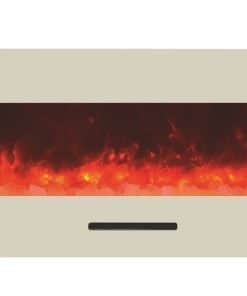 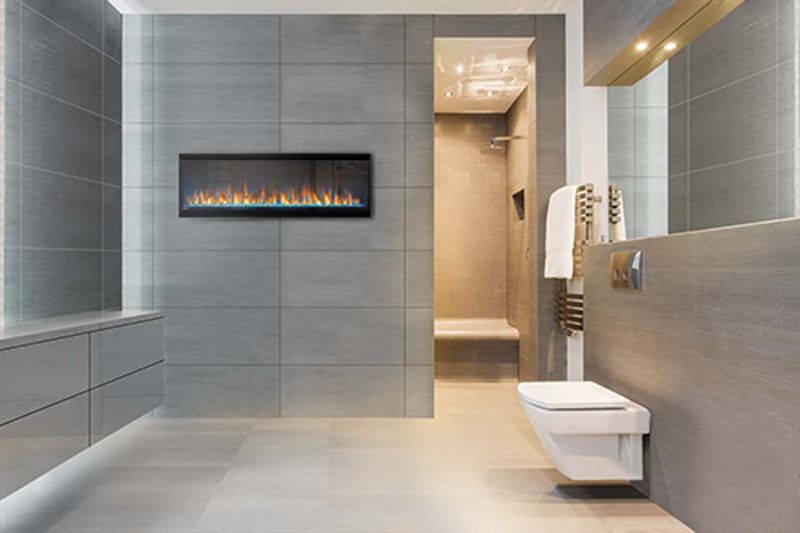 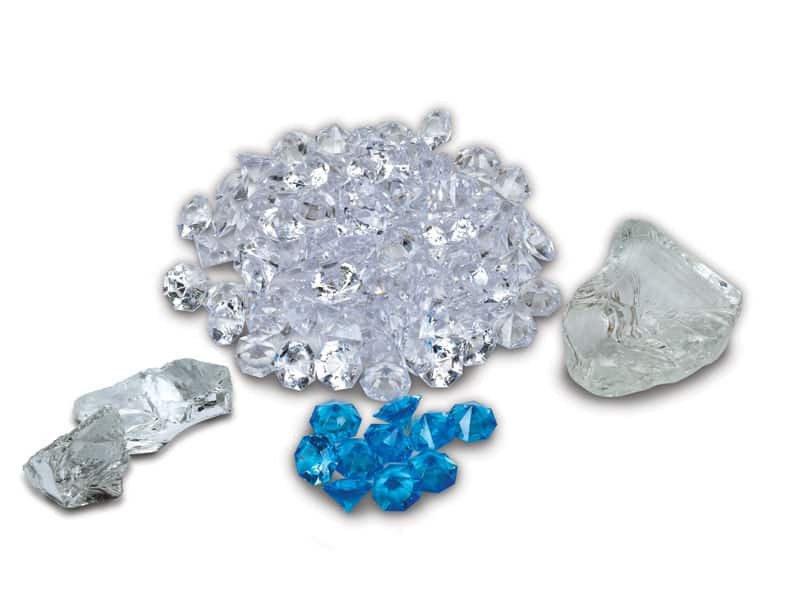 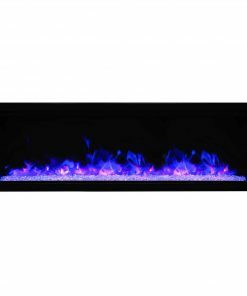 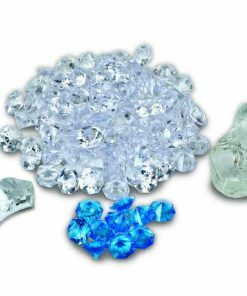 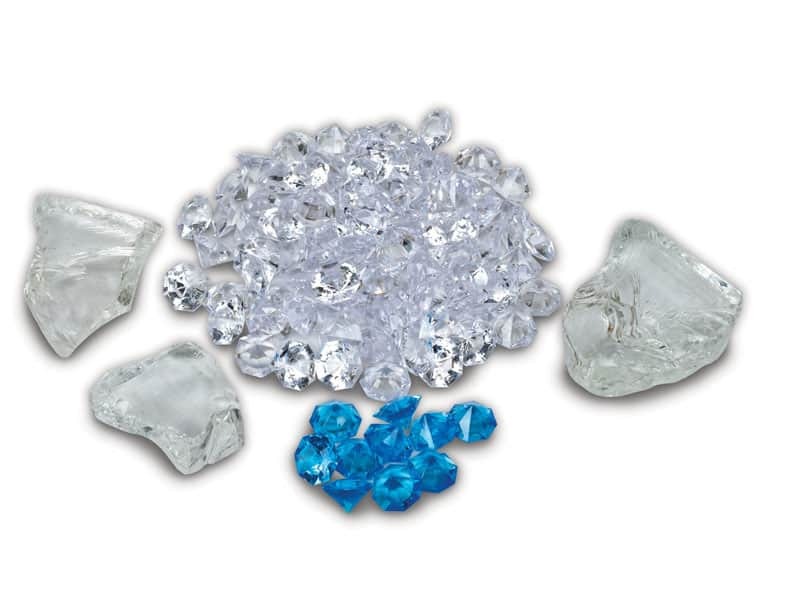 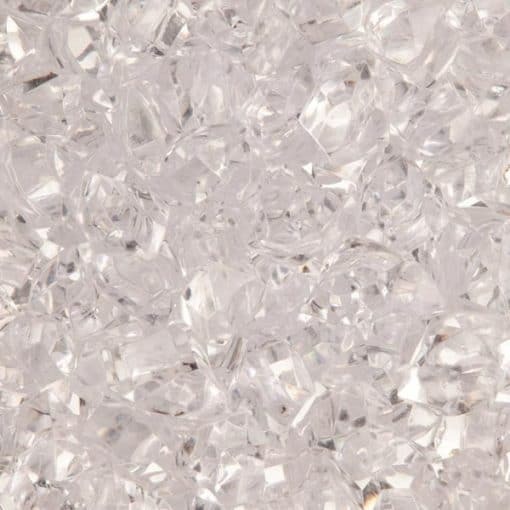 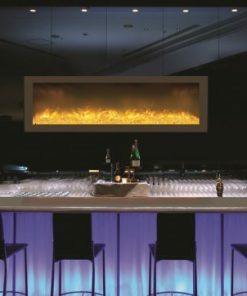 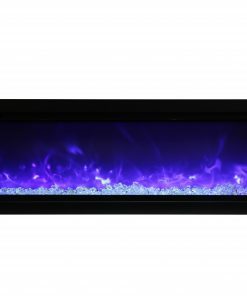 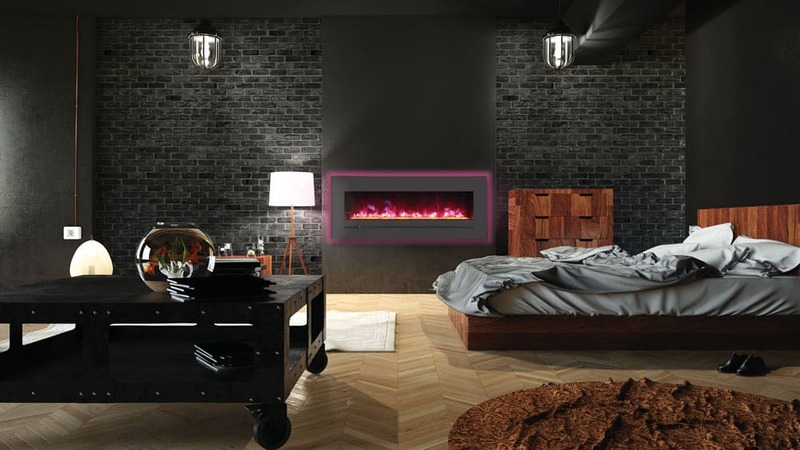 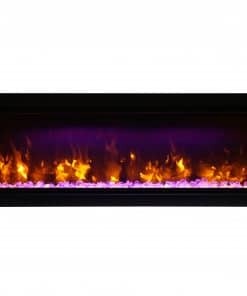 Amantii’s exclusive FIRE & ICE® flame presentation allows users to change the flame color from traditional yellow or orange to more contemporary blue, violet and rose with just a click of the remote. 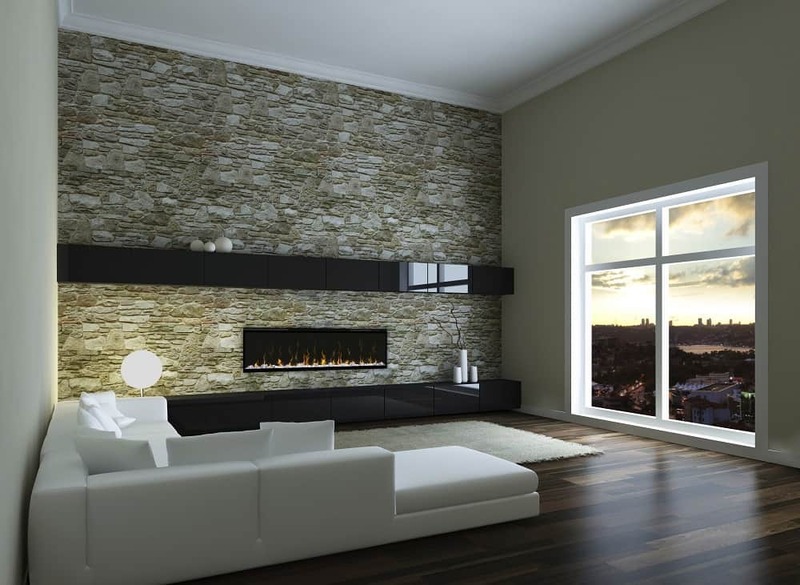 The Amantii WM-FM-50-NoLog is perfect for mounting below a television or electronics. 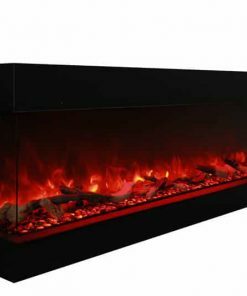 This model does not have the surround back-light feature as other models in this series.